Recipients of the grants are Youth Empowerment Services (YES), Peace Parks Foundation and the Sunflower Fund. Microsoft believes this “will bolster their work to respectively create employment opportunities for youth. It’ll combat wildlife crime and support conservation work. As well as advance healthcare solutions for those with Leukaemia and other life-threatening blood diseases”. Since 2016 Microsoft philanthropies has given over $25 million in grants out to more than 2,300 South African non profits. Microsoft’s Technology for Social Impact (TSI) group general manager Justin Spelhaug, shared on Microsoft’s plan. A plan to empower non-profits to achieve more through digital transformation. He said non-profits currently operate in a world of highly constrained resources. They are doing more with less and this requires changing how they work. Technology can help accelerate their missions in many ways. “Technology is a powerful tool to help solve the world’s most challenging issues. 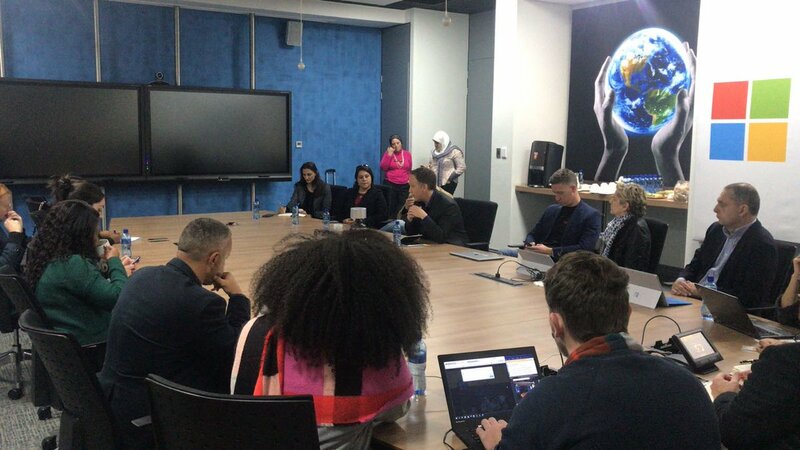 In the same way Microsoft takes our corporate clients on the digital transformation journey, we are working with NPOs in South Africa to help them implement long-term, sustainable change in their communities. Digital technology powered by Azure has helped NPOs make smarter decisions, be more productive and communicate with one another more effectively. Microsoft and YES have partnered to bring cloud technology and access to the latest software to South African youths. Launched by President Cyril Ramaphosa on March 2018, YES is a business-led partnership with government, labour and civil society. YES aims to empower one million young South Africans by offering paid quality work experiences over the next three years. Microsoft is investing $825,450 in a strategic software grant to equip 100 community hubs (YES centres of excellence). This comes with Office and other applications to boost employee productivity and skills development of young people. Microsoft will provide training to empower employees who will utilise Office for non-profits. They’ll also work on adapting more technologies as well as apps and service. Microsoft Philanthropies is providing the anti-poaching solutions organization a grant for its move to the cloud. Microsoft AI for Earth is also providing three grants to support various aspects of the Peace park Foundation work. These include a grant to further their Smart Parks system, using Microsoft’s Platform as a Service (PaaS) functionality to enable the transformation and integration of anti-poaching interventions. Microsoft’s artificial intelligence (AI) capabilities have been deployed to analyse images from a network of connected camera traps to enable autonomous poacher detection. There are two additional grants. One to support new work on conservation-minded agriculture, to deliver best practices via an app for farmers. That has the potential to improve yields with minimal habitat impact, speaking closely to the Foundation’s community development work. The third grant has been secured for the Tracker Academy affiliated to the SA College of Tourism. A project that aims to pair AI with indigenous knowledge of animal tracking and behaviour to train the next generation of trackers. The Sunflower Fund plays a critical role in recruiting blood stem cell donors to fight Leukaemia and other life-threatening blood diseases. They are leveraging the power of Microsoft’s intelligent cloud (Azure), a mobile app and AI to better engage with donors and recipients. Justin Spelhaug says in just 18 months we reached our goal. By helping more than 90,000 nonprofit organizations digitally scale their impact and serve the public good. Our goal over the next 3 years is to reach over 300,000 nonprofits by the year 2020. Microsoft’s cloud for public good and philanthropy grants are available to help any non profit achieve more. Read more about Microsoft’s Technology for Social Impact group and how you can benefit from the value they bring to the non-profit community. Microsoft’s Data Centers in Africa and Middle East will affect the region, but how?